Computers are now able to perform functions that used to be executed by human hands and voices. But they can’t compare with the endless amount of creativity that the imagination is capable of. The 21st century requires your resume to include phrases such as innovative, inspired, and creative. Out-of-the-box thinkers are no longer weirdos, they are the music makers, and Pinterest is their hot spot. I am a collector. I love saving colorful, interesting, pretty things: artwork, advertisements, children’s drawings, postcards and such. I have a large box in my studio where my inspiring objects live and wait to inspire something new. When do my treasures get attention? Not often. And I forget about what I have because they are tucked away and out of sight. Like a skipping record or a reoccurring dream, every so often I tell my self I must organize, must organize, must organize my treasures on a board, a super big board that is categorized and neatly put together for my viewing pleasure. But this has never happened. Through Pinterest I have archived visuals for future artistic inspiration. I have virtual spaces dedicated to lesson plan ideas, art making ideas, home design, humorous quotes and meal recipes; so that when I am on a mission, I have a pimped out launch pad. Below you will see a selection of images from two of my boards on Pinterest. If you wish to view them, visit the link at the end of this post. Pinterest defines itself as a virtual pinboard. Virtual means in cyberspace and easily viewed from any computer, iPad or phone with internet service. Basically, it is a free online space where participants can share their style through pictures. Pinterest allows you collect images online or from your computer and paste them to a “board”. A board is a virtual space that is categorized to your liking. Remember that vintage dress you saw on modcloth.com? PIN IT, and you will have pasted it to a virtual space where it will live forever. Then, when your paycheck comes in, you know how to spend it. 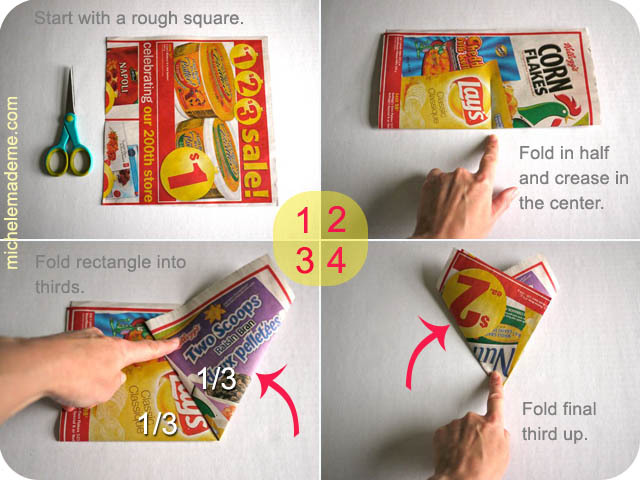 By pinning, you are copying a found image and pasting it to another space, your board. This does not mean you are stealing, just referencing. For when you click on the image that you have pinned to your board, you are directed to the website from where it originated. For example: Let’s say you are in the process of designing your baby’s room. Via online hunting, you have found a changing table, curtains and bedding that are of interest and will guide your future shopping. All these great finds are online, so, rather than print them out and save them in a folder on your desk that will soon be covered by other clutter only to be lost in your memory, you can PIN the images and save them in a space titled “baby love” for future reference. When you decide to purchase them or just wish to revisit the website, click on the image and you will be directed to the site. Pinterest has also introduced me to the wonderful world of blogging. I recently was captivated by a PIN I saw of a 12-sided snowflake. By clicking on the image, I was directed to the website where it originated and was introduced to a beautiful, smart and easy-to-follow tutorial about 12-sided snowflakes and collage snowflake fun. This tutorial inspired an art activity for my first grade classes that was a huge success. It is not often I come across a blog that offers projects that are do-able and are written so darn well. Her tutorials are witty, honest and clear. The website is www.michelemademe.com. Take a look. It will make your day. 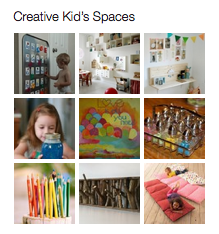 Check out the colorful and fantastic boards of Sun Porch Studio on Pinterest by clicking HERE. Every time I log in, I am welcomed by a rainbow of inspiring images that give me goosebumps. Not only because they are delicious eye candy hand selected by yours truly, but because now I finally have my big boards of inspiration at my fingertips. Whenever. I. Wish. You’ve definitely followed protocol as far as I can see, the rule of thumb being “one photo, one link”. I see both. Thanks so much for your kind words on Michele Made Me, by the way. That’s very sweet of you indeed! 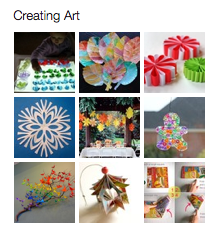 Thanks for the informative and colorful post on Pinterest MaryJo! Although I had been invited and told about Pinterest a few times before, I was hesitant to sign up and confused as to what the perks would be in joining such a site. After reading your post I was clear and excited to join in the fun…and now I am in love! Thanks for the knowledge, passion and motivation you have shared. Your post has opened up a whole new virtual world for me. A world where I can visually organize my ideas and be inspired everyday. Dear Bellstory, I am so glad you are inspired by Pinterest as well. I think it is simply GENIUS! I found your profile and am impressed with you huge selection of pins! I am loving all that you are pinning and sharing on your boards. I have already repined many of your colorful findings!